Dr. Sallie Ann Keller is Professor of Statistics and Director for the Social and Decision Analytics Laboratory within the Virginia Bioinformatics Institute at Virginia Tech University. 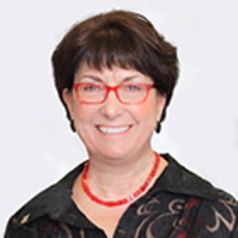 Her prior positions include Academic Vice-President and Provost at University of Waterloo, Director of the IDA Science and Technology Policy Institute, the William and Stephanie Sick Dean of Engineering at Rice University, Head of the Statistical Sciences group at Los Alamos National Laboratory, Professor of Statistics at Kansas State University, and Statistics Program Director at the National Science Foundation. Dr. Keller is a National Associate of the National Academies of Science, Engineering and Medicine and has served as a member of the National Academy of Sciences Board on Mathematical Sciences and Their Applications, the Committee on National Statistics, and has chaired the Committee on Applied and Theoretical Statistics. Dr. Keller’s areas of expertise are social and decision informatics, statistical underpinnings of data science, uncertainty quantification, and data access and confidentiality. She is a leading voice in creating the science of all data and advancing this research across disciplines to benefit society. She is fellow of the American Association for the Advancement of Science, elected member of the International Statistics Institute, fellow and past president of the American Statistical Association, and member of the JASON advisory group. She holds a Ph.D. in statistics from the Iowa State University.